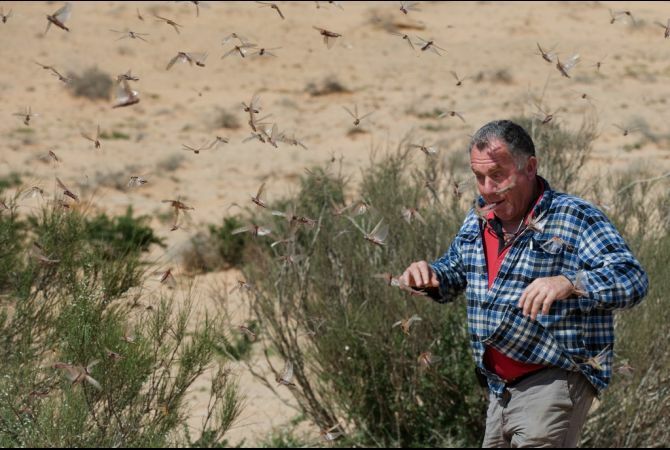 I was reading in the news that in early March, 30 million locusts invaded Egypt and have since then migrated to Israel. Are locusts kosher? If so, are they meat or dairy? Can I eat them with ice cream? What planning by those locusts - just in time for Pesach! Apparently this is an annual occurrence, they just happen to be more abundant than usual this year. However, according to Tanta Golda’s Pentateuch, it says: the locust after its kinds…(Lev. 11:22) That seems to me to include all locusts. But, what do I know? Locusts, like fish, are considered parve (neutral), so neither strictly meat nor dairy. That means bubbelah, that you can go right ahead and sprinkle locusts all over the top of your ice cream sundae! Have a joyous Passover, may your matzah balls be fluffy, and your locusts...oy.